Engage your audience with interactive online discussions. The Conversation tool gets discussions going between your audience members and collect views from a variety of perspectives. 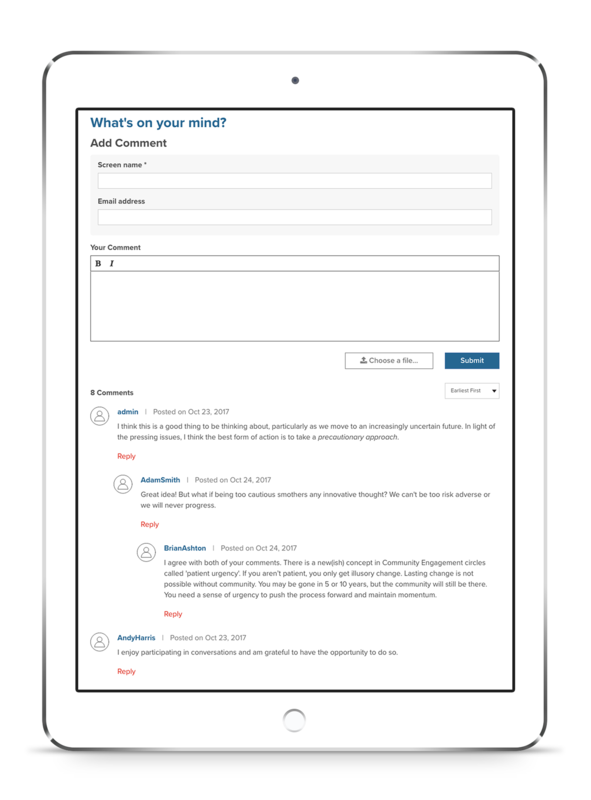 Use it to create threaded or flat comment threads that derive important qualatative insights. 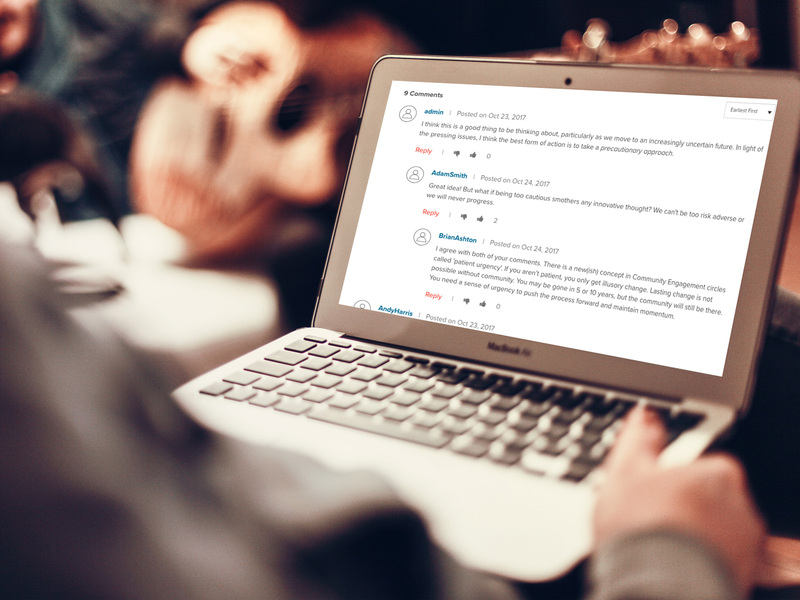 Let your users ‘subscribe’ to each conversation to receive email notifications each time a comment is made on the discussion thread. This will keep your users coming back to the site time and again. Enable registered members to up-vote or down-vote user comments to find popular and unpopular sentiment within your community. Enable 'threaded' mode to allow for more natural conversations where users can reply to one another, or switch to 'flat' mode for use as a guest-book. Let your users choose how they want to sort comments based on date or even number of votes received. Allow users to upload files such as documents and images and get creative in the way you use the conversation app. Help your conversations spread on social media by helping your users easily share comments on popular social media sites including Twitter and Facebook.